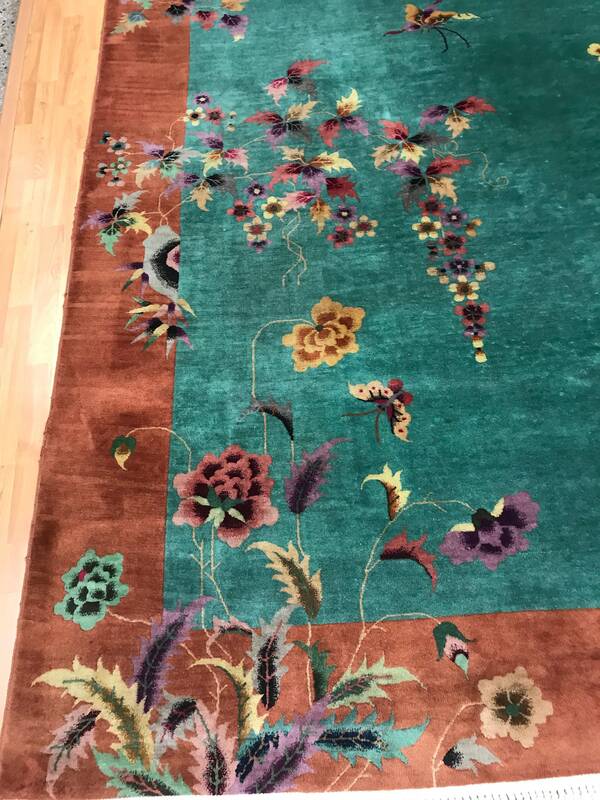 Actual Size: 8'9" x 11'5"
This beautiful Oriental rug is an antique 8'9" x 11'5" Chinese Art Deco, circa 1930s. 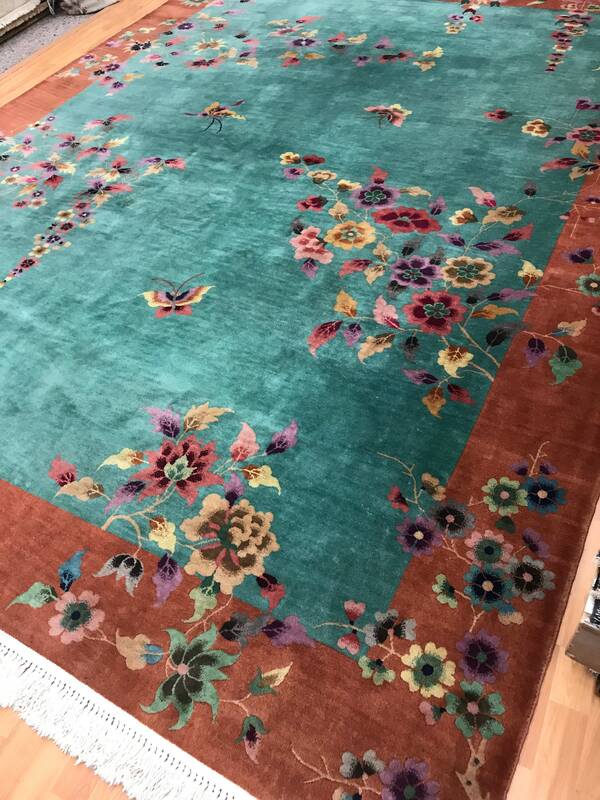 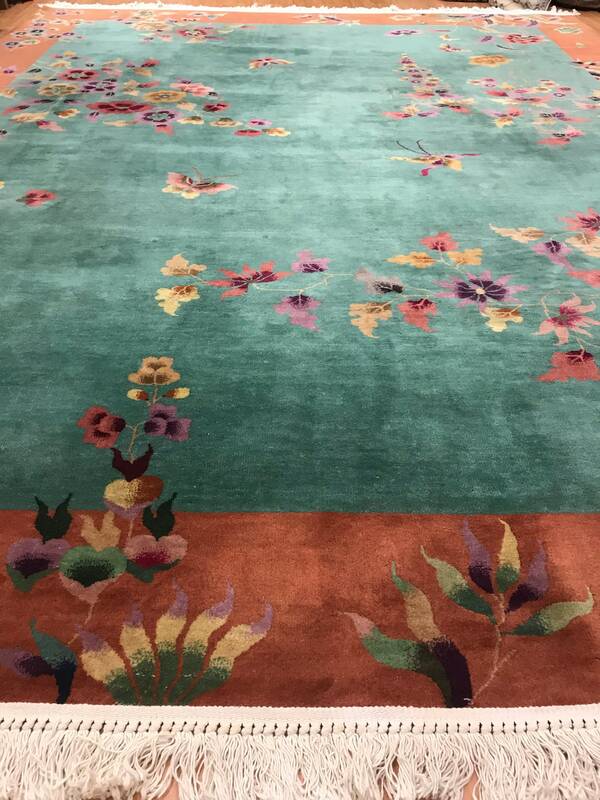 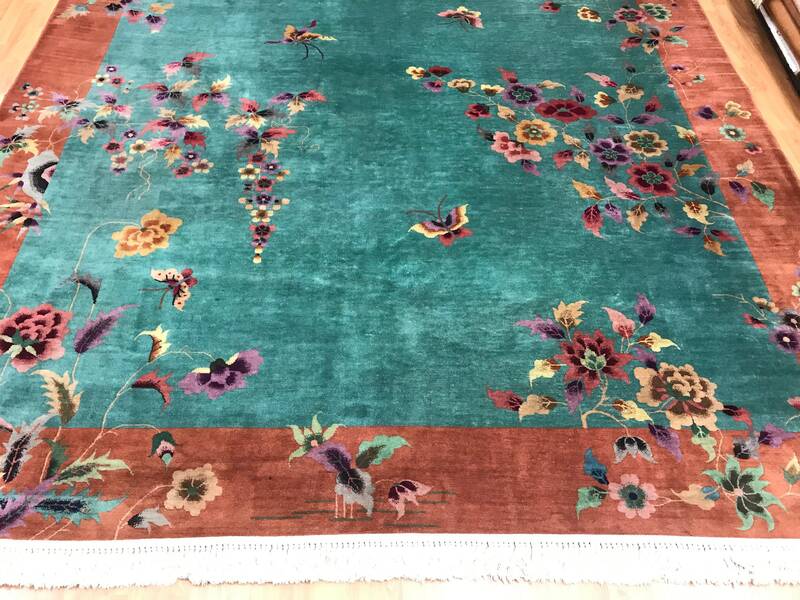 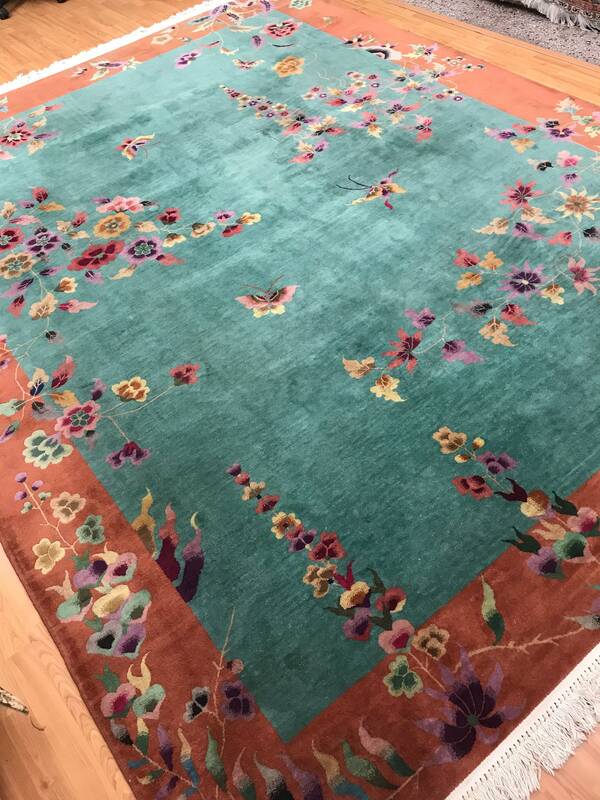 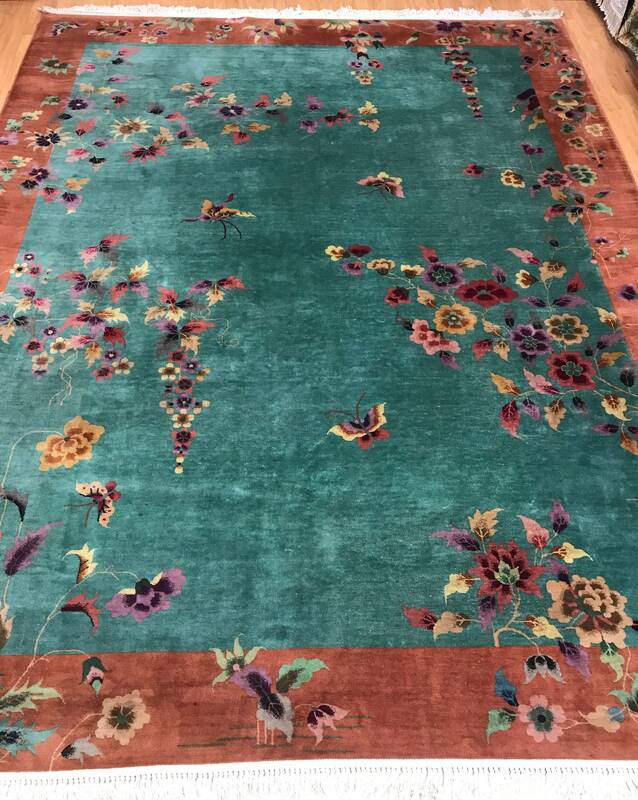 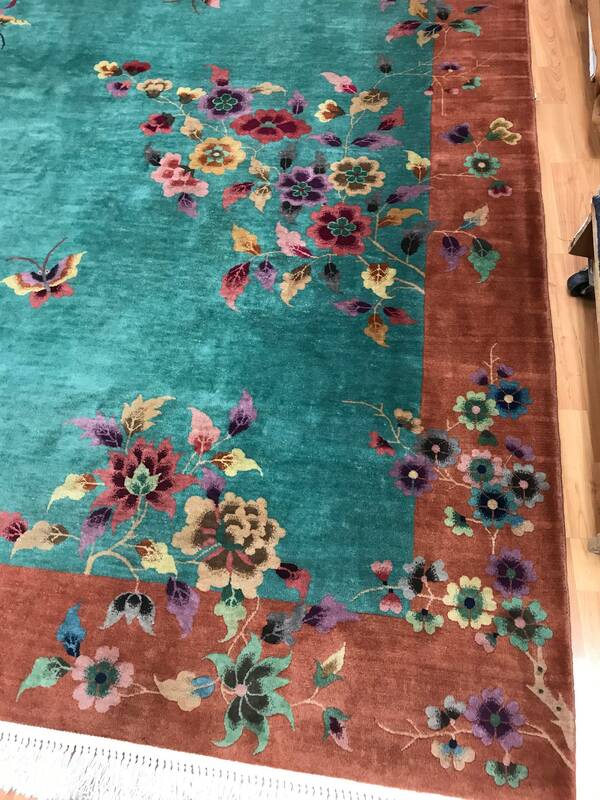 This hand knotted Chinese rug has a beautiful traditional Chinese design and is made with a 100% wool. 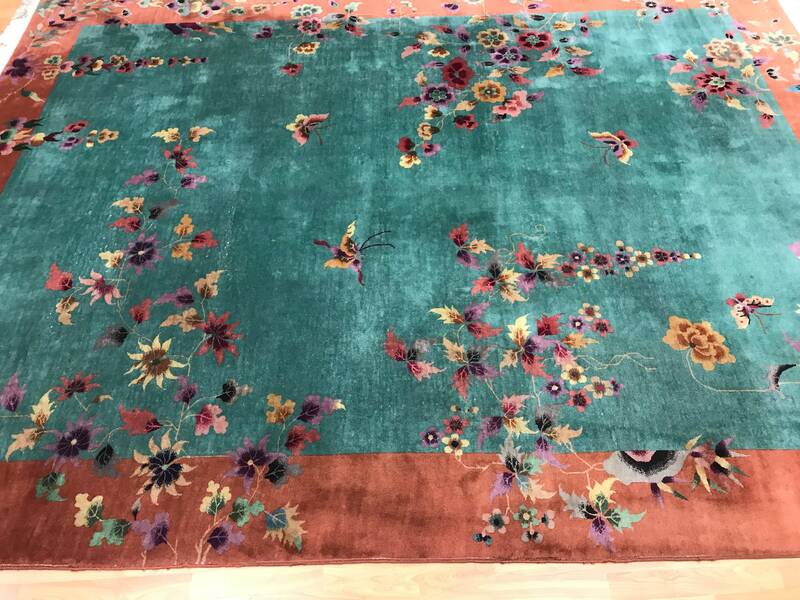 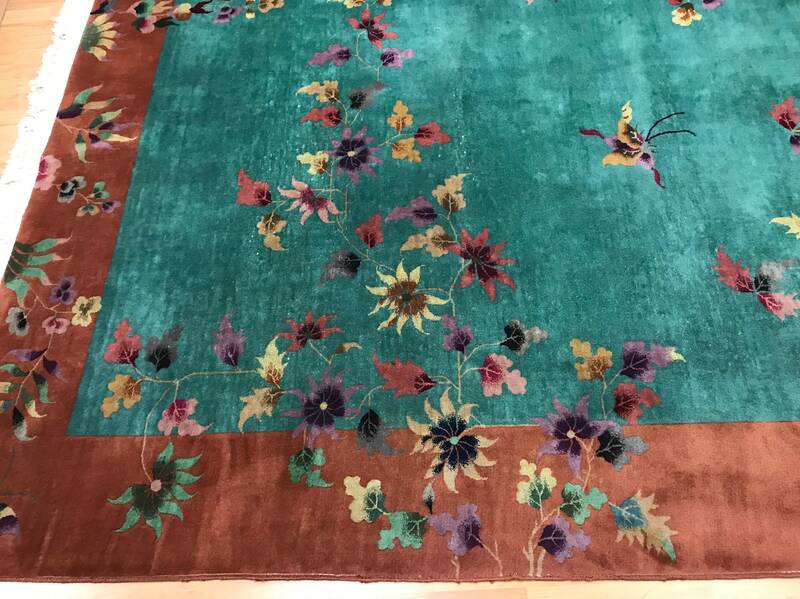 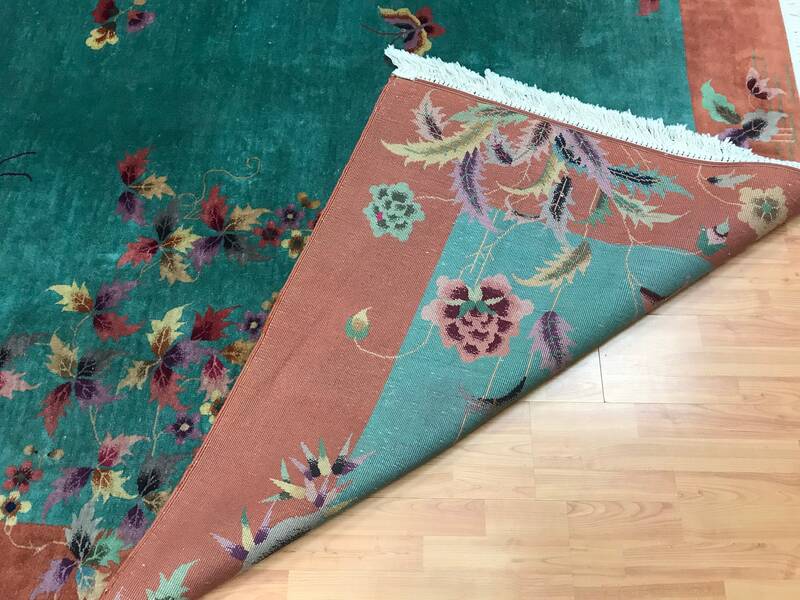 This Chinese Art Deco rug is in good condition and has had a new fringe put on it.